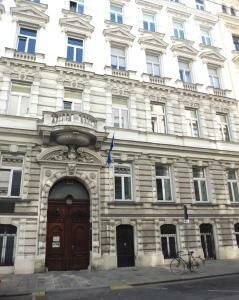 Right behind Vienna University, Hotel Pension Residenz is just a 5-minute walk from Town Hall and the Ringstraße Boulevard. The quiet rooms are air-conditioned and offer free WiFi. The traditionally furnished non-smoking rooms feature air conditioning, satellite TV, and a bathroom with hairdryer. Guests of Hotel Pension Residenz can start their day with a Viennese breakfast buffet. The Schottentor Underground Station (line U2) is just 300 metres from Hotel Pension Residenz. A wide range of restaurants, bars and shops is nearby.